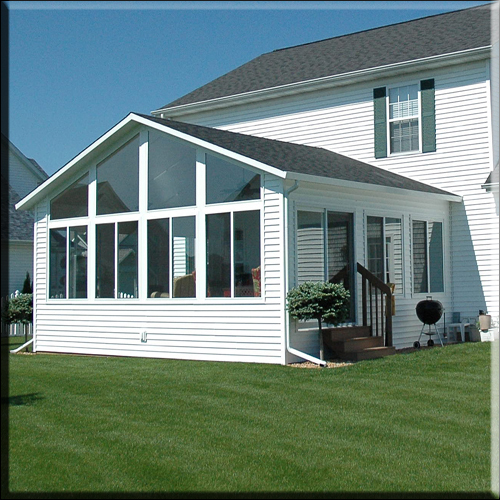 Sunroom design styles | Gable Sun rooms |Sunrooms and additions that have a double-sloped roof creating a triangular shaped area above the front wall are usually called Gabled or Cathedral rooms. 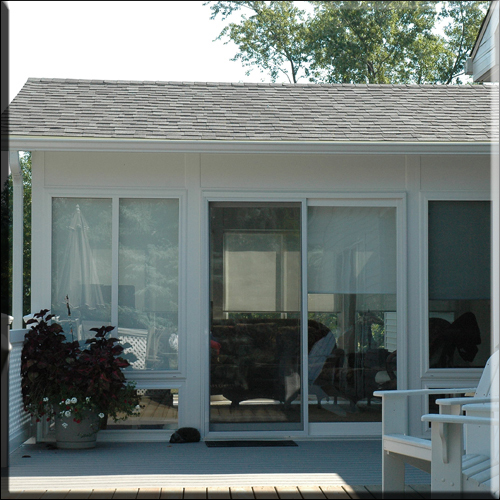 Sunrooms and additions that have a double-sloped roof creating a triangular shaped area above the front wall are usually called Gabled or Cathedral rooms. 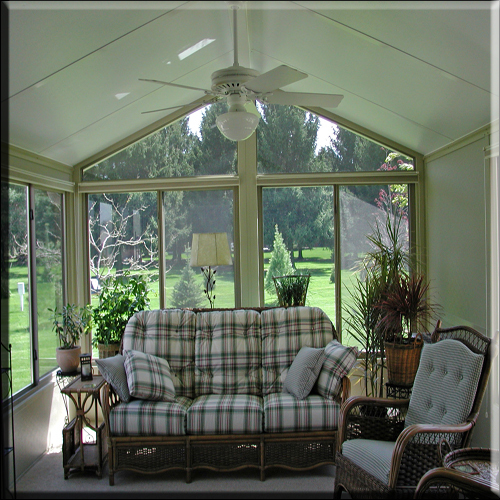 These are probably the most popular sunroom design and they work well w/ virtually any type of home style. We use a Structurally Insulated Panel (SIP) Roof system that allows to create any slope or roof pitch while maintaining an extremely efficient roof without having to create an extra attic space above rooms. 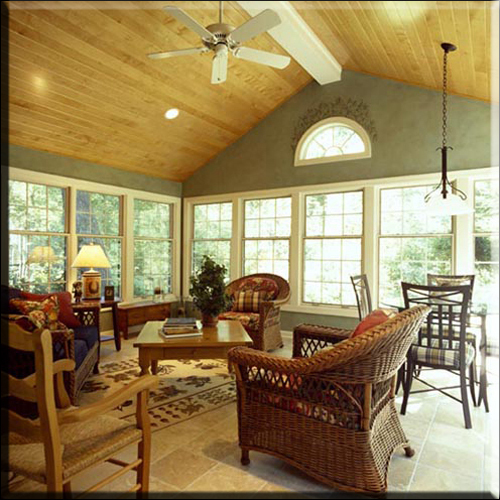 These rooms above and below are of various other gabled or cathedral style sunroom designs. 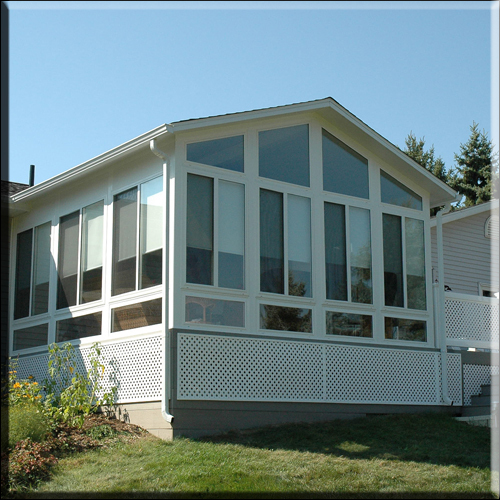 Note the different looks you can achieve by changing the amount of glass in the walls or the colors and types of siding to make the new sun room additions fit in well with the existing home. 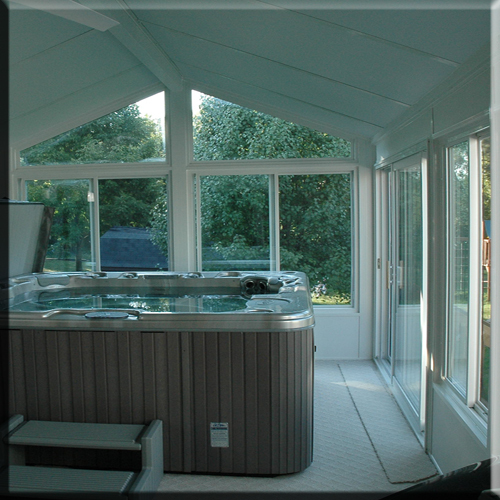 Gabled and cathedral sunrooms are great if you want give a smaller room a larger look and feel or if you need a little extra head room as in the spa enclosure above. 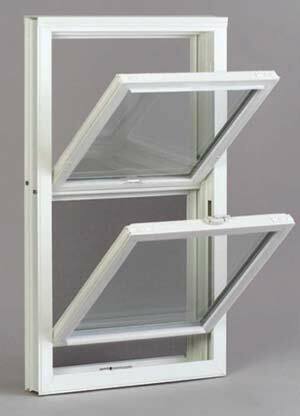 Gable and cathedral style sunrooms are especially well suited for additions to 2 story homes, but can easily be adapted to be atted to a 1 story home as well. It is extremely important to use a qualified contractor who guarantees the attachment to your home. This is a notorious spot for leaks! These roofs can be very energy efficient and cost effective way to add a great room to any home.